Get my weekly "Travel Tip Tuesday" informational pics and fun videos on Instagram & Facebook and let me know what sort of travel tips you'd like to see here! Check out my Travel Store for a list of my favorite products that I never leave home without. When packing for a trip, lay belongings out on your bed or floor, organized by category (day clothes, toiletries, underwear) or activity (diving, beach, biking 🚵). Don't forget reading 📖 material, headphones 🎧, phone chargers, and your passport! I'm a light sleeper so I always bring earplugs and an eye mask. When you need to pack a lot of products, such as on long trips, compression sacs can be very useful. Also stick to one color theme so you don't need to pack 4 pairs of shoes to match each outfit! This is what I brought to Mexico with me for a 3-week trip of diving, beaching, hiking, biking, and cultural road tripping in October, 2017. Find my favorite travel products in the Travel Store! This topic is so important to me that I wrote a new blog post about Why You Need Travel Insurance. Nothing ruins a vacation faster than lost, damaged or stolen luggage so I ALWAYS carry travel insurance that covers theft, missing baggage, emergency flight changes/cancellations, illness, collision damage, accidental death and all the things you don't want to think about when planning a trip. Some travel insurance also covers cancellations due to other problems, including if your tour provider goes bankrupt or an airline delay causes you to miss your event. Dozens of providers and packages exist and Reviews.com recently published a comparison of some of the top providers for single, family, and extended trip travel. I've had great experiences with and recommend World Nomad's, who provided quick customer care when I got severe food poisoning in Mexico and even covered baggage a US airline lost and wouldn't replace. Didn't research food options so this couple unnecessarily backpacked with 6 days worth of food! I skipped the recommended bug spray because I "never get bit". Wrong choice. The best view in a city is not always from an expensive observation deck. Many cities have restaurants and bars that offer the same view - or even better - so save money on the admission ticket and spend it on a drink or appetizer! Zip lock bags are your best friend. Use them to carry travel-size toiletries, snacks, and to protect your phone from spilled liquids! The see-through bags make it easy to find your items. Get the audio guide! An extra $5-10 might be tacked onto an already expensive admission fee but you will enjoy the visit so much more. Without the audio guide, I would have missed so many interesting pieces and bits of history at various museums in Rome 🇮🇹. Collect meaningful souvenirs. Do you really need another key chain? My Christmas tree is decorated with ornaments I have collected from travel to Egypt, Japan, Cuba, Turkey, Iceland, Italy, Bermuda, Colombia, Jordan, and around the USA. Arrive early if you want to avoid having millions of tourists in your pictures! If you can’t make it early, visiting closer to the closing time. Having fewer people around really increases enjoyment of the site or experience. Always use bug 🐜 spray when warned, even if you "never get bit" (guilty!) Most of the bites shown below were accumulated during a 4-day hiking and biking 🚵 trek to Machu Picchu. Pack LIGHT. 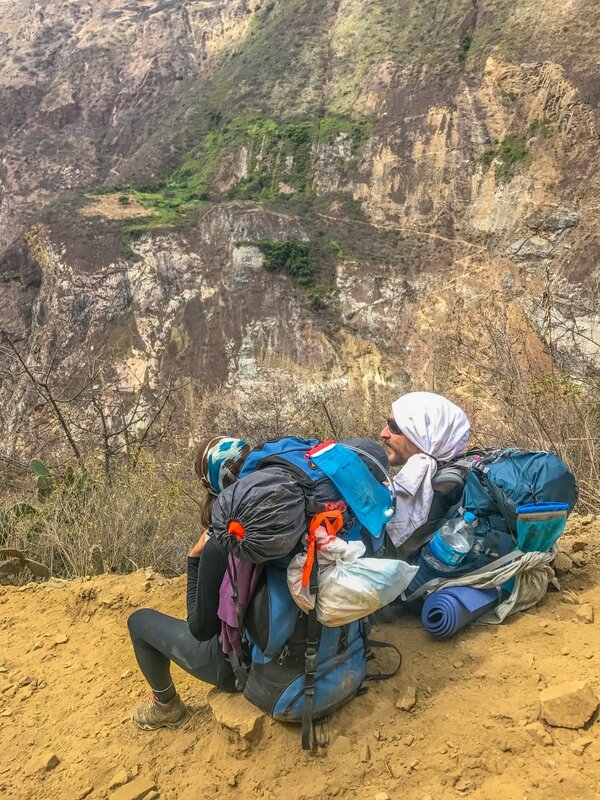 I met this lovely couple on the grueling Choquequirao trek in Peru and they could barely stand up with their heavy bags 💼. Come to find out, they hadn't done their research to learn there is plenty of food along the way so they unnecessarily weighed themselves down carrying 6 days worth of food. Do your research and pack as light as possible, utilizing micro fiber towels, compression sacs, and quick dry/anti-microbial clothing that can be worn multiple times without washing. Please stay tuned for more details on tips for fun, affordable, safe, off-the-beaten-path travel! 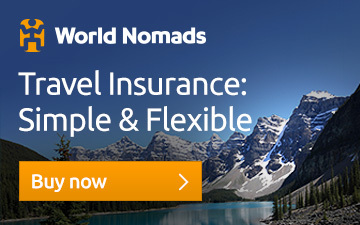 - Why you need travel insurance! Feel free to let me know what sort of travel tips you'd like to see here!